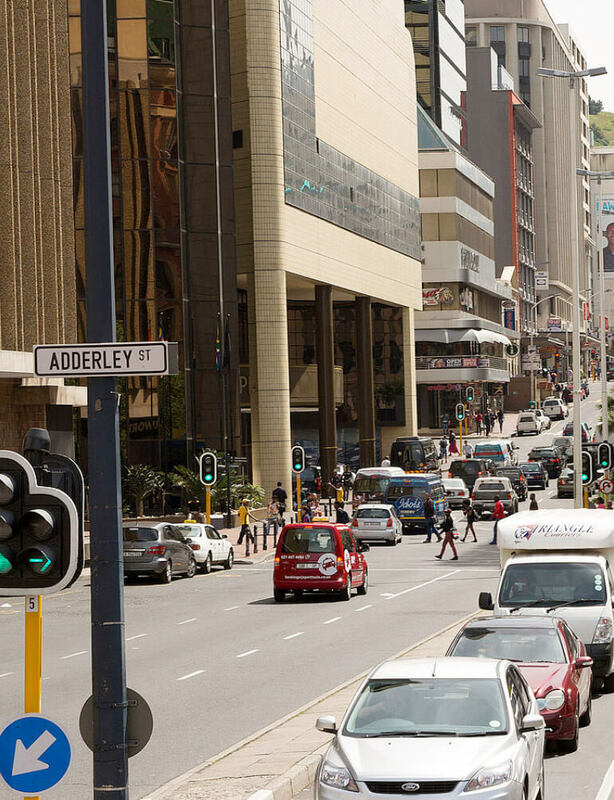 Most people realise, consciously or subconsciously, that the built environment is a powerful force in their daily lives. For the majority, it enables their survival- or so it should. For a small powerful minority, it is sometimes a way to express their sense of self and their power. This power could be underpinned by political or economic consideration or, by extension, a combination of both. The architect’s clients’ desire to build and express can also be underpinned by benign and not so benign considerations. Sometimes the architect gets knowingly or unknowingly drawn into these motives….The more exclusive and repressive the political and/or economic regime becomes, the more ominous the architectural language that gives expression to such conditions becomes. It is the victors who write history and who, more often than not, use architecture as their vocabulary. This situation seems to be true for all epochs and cultures. The individual architectural example and its context in the built environment is always open to interpretation. each generation will find its own explanation of what the embedded meaning of its environment could be. The architect and the client need to be aware that history will judge them differently from their own intentions. What might remain more stable in this shifting evaluation is how the relationship between the powerful elite and the ordinary citizen can be ‘read’ in the broader environment. It is here where the millions of small acts that the ‘ordinary’ person and their architects make in the face of sometimes brutal regimes become a more heroic counter-statement to the architectural language of the powerful. This language of the ordinary is more difficult to read, but if we uncover it, it offers a world of greater and lasting inspiration. The architect should choose carefully when accepting commissions for whatever reason. Architects are sometimes in a difficult position and they cannot prejudge any situation. Survival and ethics sometimes aren’t good bedfellows. In difficult situations, the careful reading of the ordinary can become the guiding principle to avoid the excesses of the powerful and celebrate the poetic qualities of the deep-seated meaning found in the everyday. Most architects who excel and most whose works remain relevant beyond their own lifetimes are always capable of achieving these qualities. 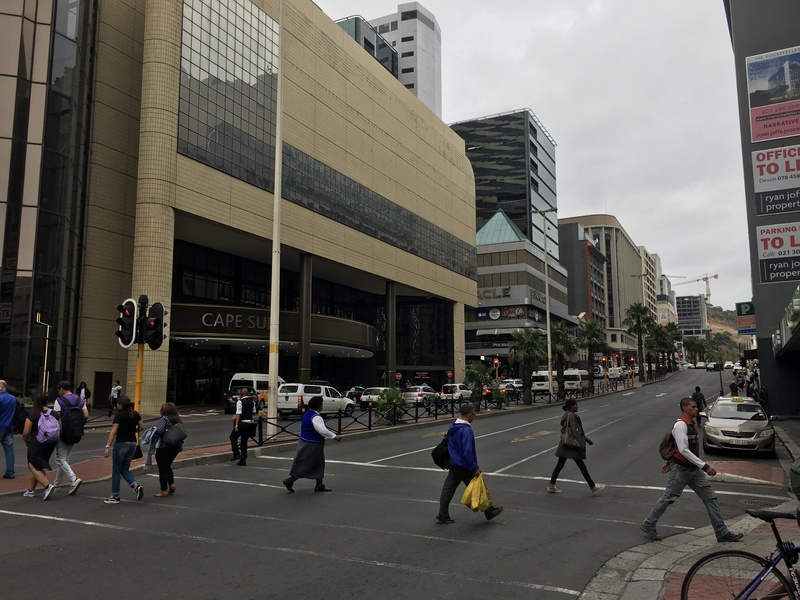 Long Street sets up an active street edge with multiple opportunities for engagement, with the buildings as enablers of people’s everyday activities. 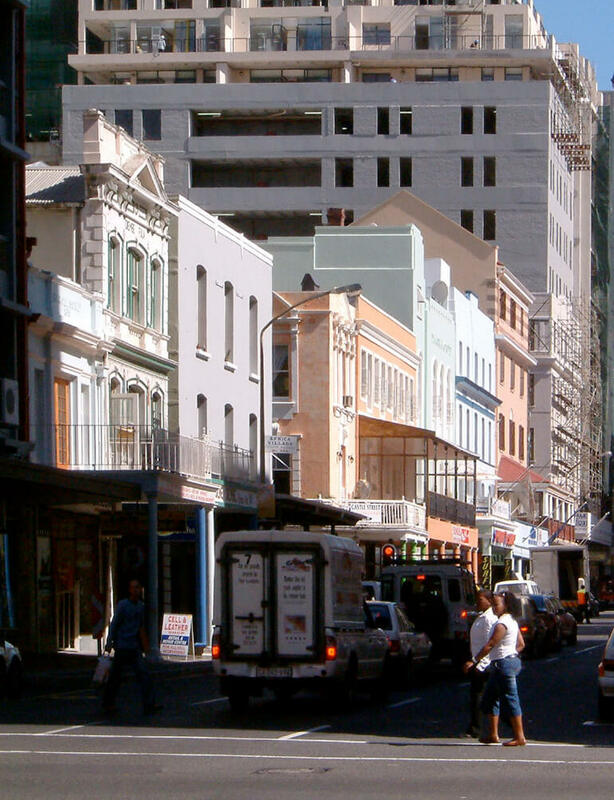 Strand Street sets up a hostile environment for people, with buildings as expressions of themselves or their brands.